Weight: 22ml / 0.74 Fl. Oz. An essential factor in the strength and elasticity of skin, collagen constitutes over 90% of deeper dermal layers and is responsible for keeping skin firm and hydrated resulting in smoother facial contours. 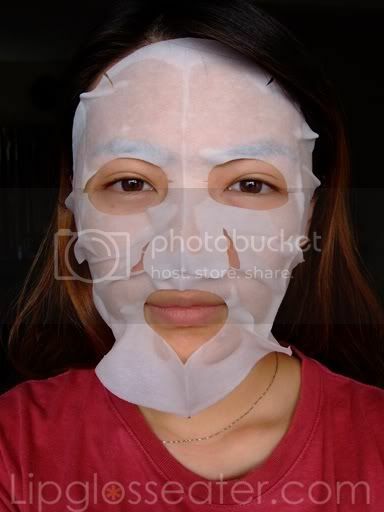 This mask is priced at RM6.90 each and is available at all The Face Shop outlets. You get lots of essence with this product too... too much in fact! Haha! The price is not too bad too! What a shame it contains alcohol and it's not more moisturizing. I'll pass, thanks for the review.